whilst baby wearing in the winter or in cold weather. 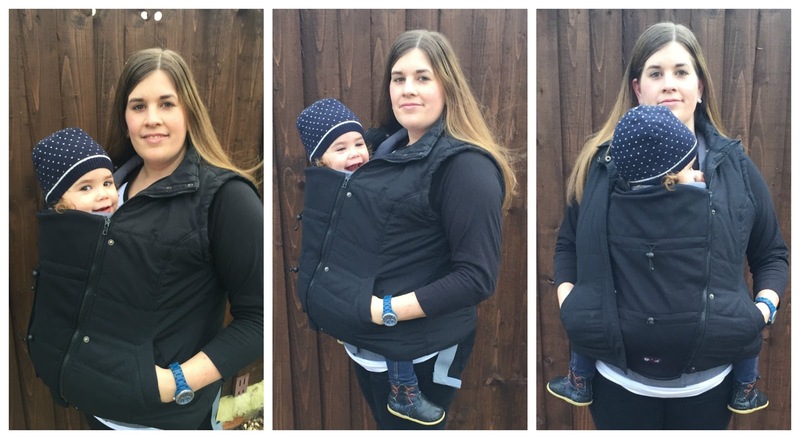 Now my not so little one who is turning 2 soon still loves to be worn and we do it daily on the school run because its just so much easier walking to the school and into the classroom and not struggle with a pushchair and masses of children and parents rushing around. And due to her being a little escape artist managing to climb out of the pushchair harness and doesn’t like holding hands baby wearing for me is also a safety issue where i know she is safe whilst i carry her! 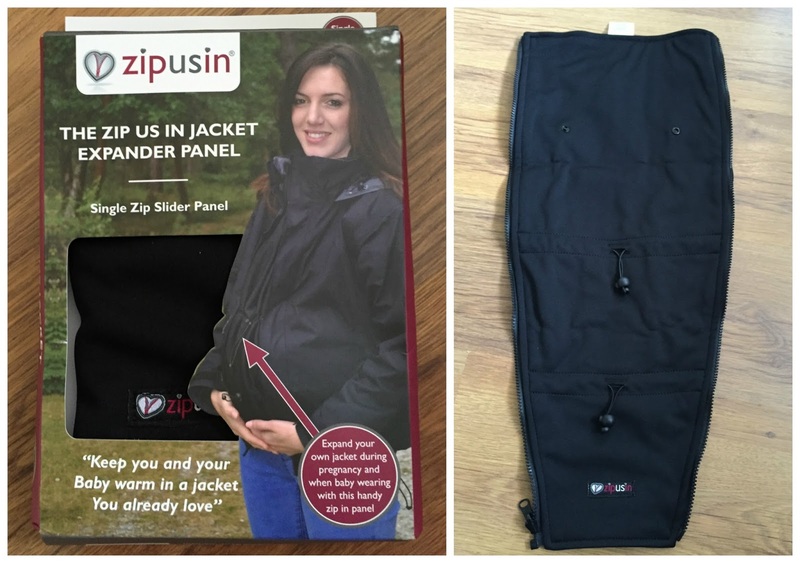 The Zip Us is a Jacket Expander Panel is an easy to use, wind proof and water resistant soft-shell panel that can be zipped into the front of your own jacket to allowed continued wear throughout pregnancy and after the birth it can be used whilst baby wearing your little one! and its available in Single or Double. We haven’t had much of a winter yet but i still wanted to be able to wear the Panel with my winter coat so when i ordered it i told the Zip Us In Team the code on my zip to make sure it will fit. The Panel itself features a standard 66cm YKK 5VS Vislon 2 way zip BUT you can also get some adapters to make sure your panel will fit with your specific zip. 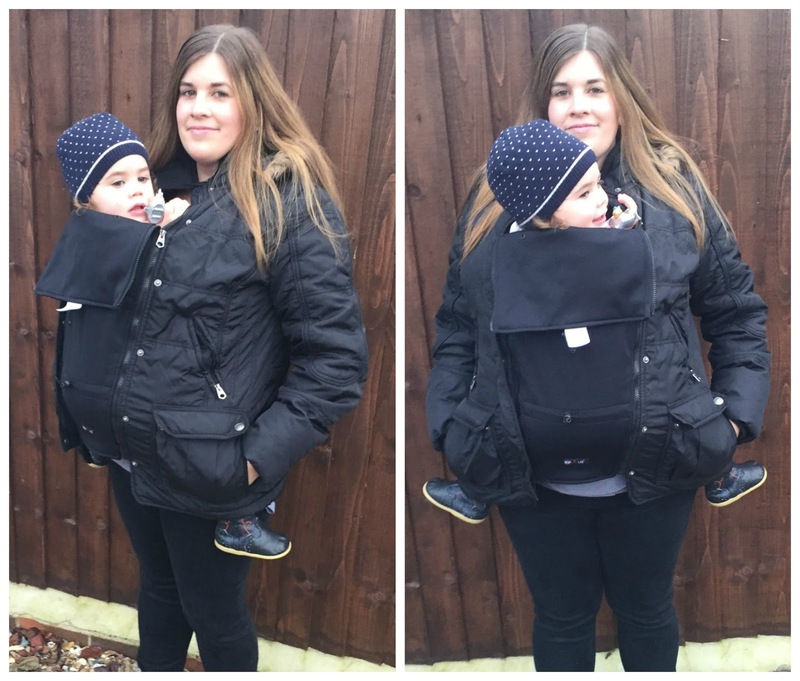 I absolutely love the fact that i can still wear my favourite coat whilst baby wearing Molly-May and its great for any pregnant lady out there who will save herself a lot of money not needing to buy a whole new maternity coat when expecting! some of my fellow baby wearing friends. I have a lot of new parents come up to me at the Meets and ask me about covers and coats for the colder time of the year but there are taken aback when i tell them that most baby wearing jackets have a price tag from about 80£ upwards so i am happy that from now on i can show them a cheaper but still as effective alternative in the Zip Us In Panel which is only 28.99£. If you want to you can also buy a separate weatherproof hood which attaches to the panel which is 16.99£. You can purchase the Zip Us in Panel on their website or from the Boots website for 28.99£. Information on zip compatibility can be found on the Zip Us In website where you also find the different adaptors as well as a weatherproof hood mentioned above. 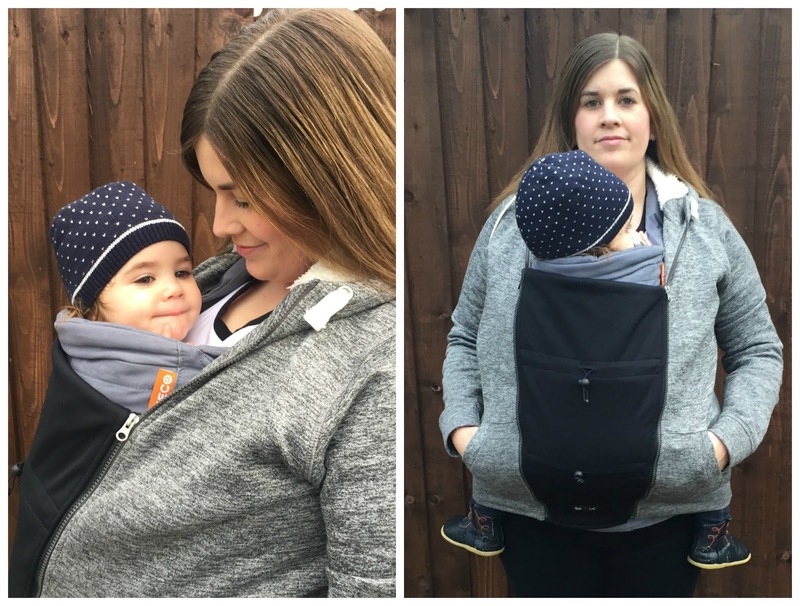 Disclaimer: I have been sent the Zip Us In Baby Wearing Panel for reviewing purposes, but all thoughts and opinions are mine. My Top 5 Netflix Shows this Winter!